I don’t think you should buy a Porsche Cayenne Turbo. It makes absolutely no sense when you could instead have a Panamera Turbo Sport Turismo, which will be lighter, faster, prettier and have a lower centre of gravity while also still being very practical. In fact, these days I find myself making similar arguments with every SUV I test. Why have a BMW X4 when a 3-Series Touring is better in every way? Who needs an Alfa Romeo Stelvio Quadrifoglio when its lighter, more attractive Giulia cousin exists? Are you really going to drive away from the Audi showroom with a Q8 instead of the immeasurably more attractive A6? It’s pointless making this argument, of course. People want status symbols. People want a high driving position. People want whatever’s in fashion. People, therefore, want SUVs. And so, manufacturers will continue to make them, and we’ll have to test them. And if you really must buy one - an expensive one, specifically, you should probably make it a Cayenne Turbo. Because damn is it good to drive. Almost annoyingly so. Making SUVs weirdly good to drive stopped being impressive a while ago. 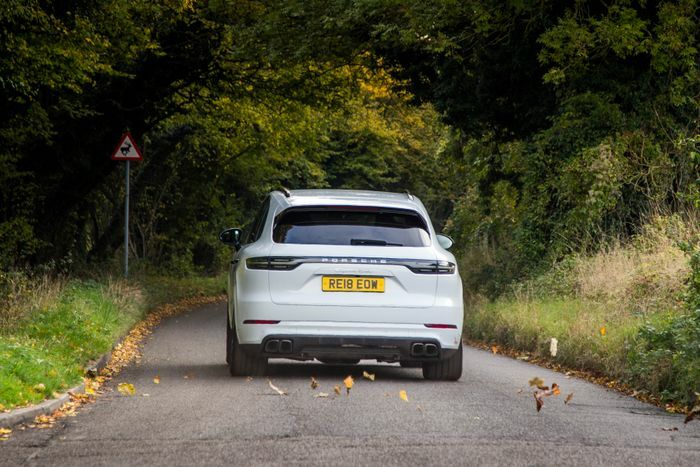 Modern air suspension, active anti-roll bars and other kinds of technical wizardry mean that even sports utility vehicles that don’t claim to be backroad carving weapons - like the Q8 we mentioned earlier - are surprisingly capable when hustled. But the top-spec version of the new Cayenne is head and shoulders above any other SUV of this size I’ve ever driven. The surprisingly fast and aggressive steering actually delivers a decent level of feedback, and there’s a chassis that can more than cope with even demanding inputs. There’s precious little roll, and just a little hint of the rear moving a little under power. It feels agile, lively, and not much like an SUV at all. It has a super sharp turn-in you just don’t expect. There’s only a hint of the nose diving under braking but it certainly squats down at the rear when you hoof it. Then, it would do: the 4.0-litre twin-turbo V8 under the bonnet produces 542bhp and 568lb ft of torque. If you spec the Sport Chrono pack - which ‘our’ Turbo test car had optioned - 0-62mph is possible in 3.9 seconds. That’s as fast as a manual 911 GT3, which for a car like this seems hilarious. 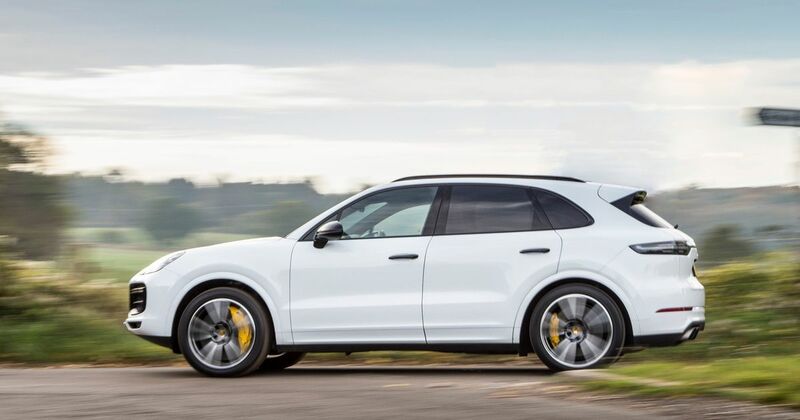 When it comes to SUVs, only the Alfa, the Merc GLC 63 S and the Lamborghini Urus are faster. 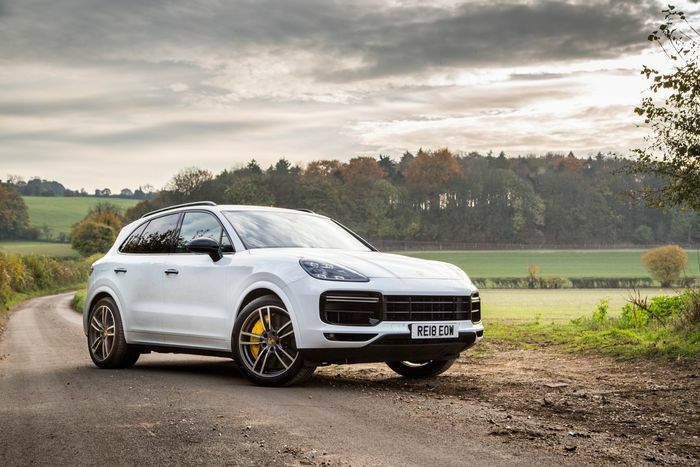 Full throttle sees the Cayenne Turbo launch forward with blistering pace. There isn’t a whole lot of turbo lag, and over 3000rpm that twin-turbo V8 is less an engine, more a small and very potent bomb. I dig the noise, too. I suspect it has the same resonator behind the bulkhead as the Panamera GTS - which has the same V8 in a lower state of tune - and I’m perfectly OK with the fakery. It still sounds natural, and just a little bit naughty. The eight-speed automatic gearbox is brutally fast and effective, ensuring that the full force of that V8 is only interrupted for the briefest of moments. It’s hardly hamstrung at all by the fitting of a regular torque converter auto rather than a twin-clutch ‘PDK’ jobby. The transmission rounds-off an amusing, hellishly quick car which, when you’re not in the mood, will quite happily waft along with a beautifully composed ride. The tech’s all excellent too: you get the usual setup of multi-function screens flanking a physical rev counter with the same font Porsche has used for decades, which looks smashing. 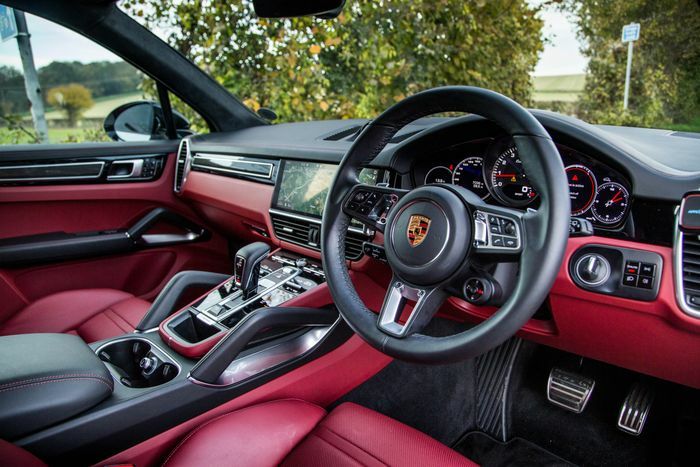 Then there’s a big and easy to use 12.3-inch touchscreen which first appeared in the Panamera and is now making its way across the range. 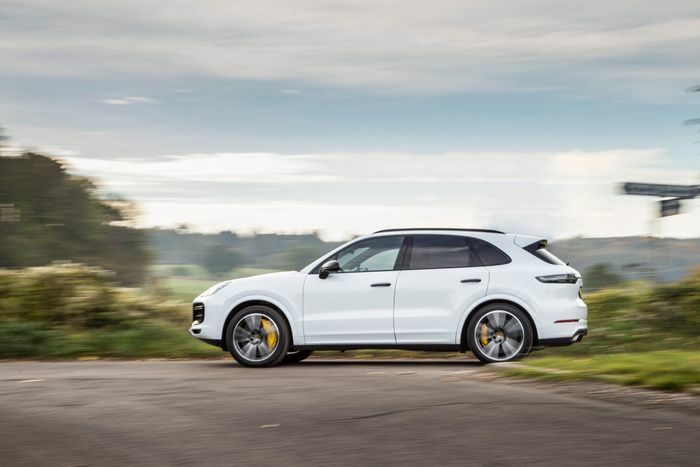 There are things you can’t see too, like an active anti-roll bar powered by a 48-volt electrical system and option rear-wheel steering, both contributing to the almost unnatural way the Cayenne covers ground. The Turbo has a real duality - it can be exactly the car it needs to be to match your mood. But you know what else pulls off the same trick? That Panamera Turbo Sport Turismo I mentioned earlier. It’s what I’d have, given the choice. 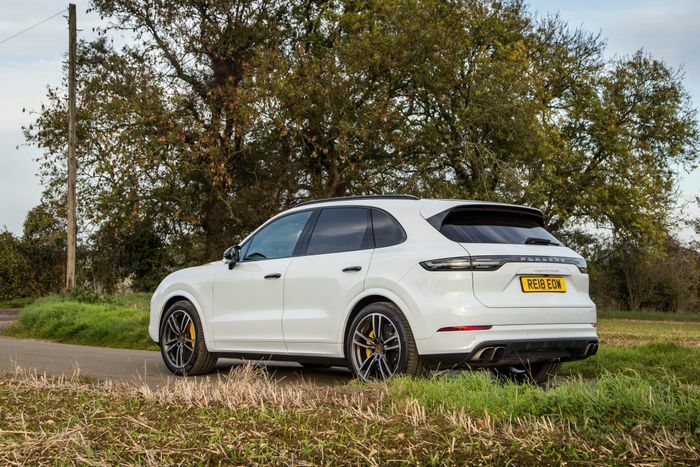 The only thing is, I’ve just discovered the Cayenne is - at £99,291 vs the ST’s £114,560 - actually quite a lot cheaper. Does that make the Cayenne Turbo an unexpected bargain…?